To be put together at Kawasaki’s plant in Pune, bookings for the Ninja ZX-6R were announced in October last year. As the first lot was to be produced in limited numbers, bookings were only open for a month, without any price announcement. 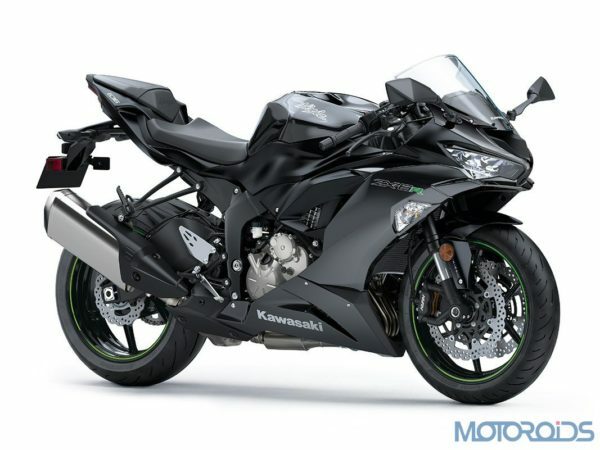 However, the Kawasaki Ninja ZX-6R will be priced today, and the biker maker could also open bookings for the second lot. Upon launch, the Kawasaki Ninja ZX-6R will go on to become the only middleweight, fully-faired sportsbike on sale in India. Tipping the scales at 196 kilos, the motorcycles is powered by a potent 636cc in-line four-cylinder engine which cranks out 128 bhp. Based on a pressed-aluminium perimeter frame, suspension duties on the 2019 Ninja ZX -6R are handled by Showa’s separate function – big piston front forks, which offer a broad line of adjustability. 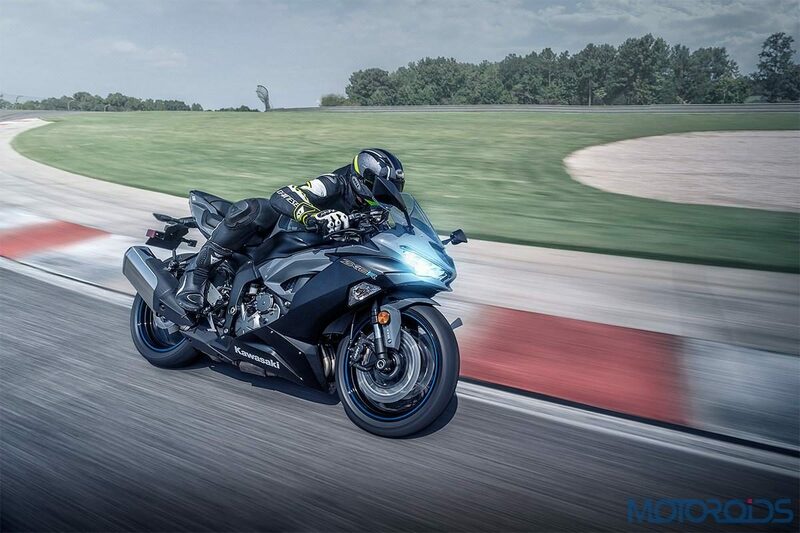 A 3-mode traction control system, two riding modes and an adjustable Uni-trak rear suspension system are linked to Bridgestone’s latest BATTLAX HYPERSPORT S22 tyres, which contribute to lighter handling, while offering superior grip in both dry and wet conditions. The ZX -6R also gets Kawasaki’s intelligent ABS system which governs dual, 4-piston monobloc front calipers which bite into 310 mm discs. For 2019, the updated Ninja ZX-6R has been packed with features like KIBS (Kawasaki Intelligent anti-lock Brake System), KTRC (Kawasaki Traction Control), Twin LED headlamps, LED taillight, and KQS(Kawasaki Quick Shifter). 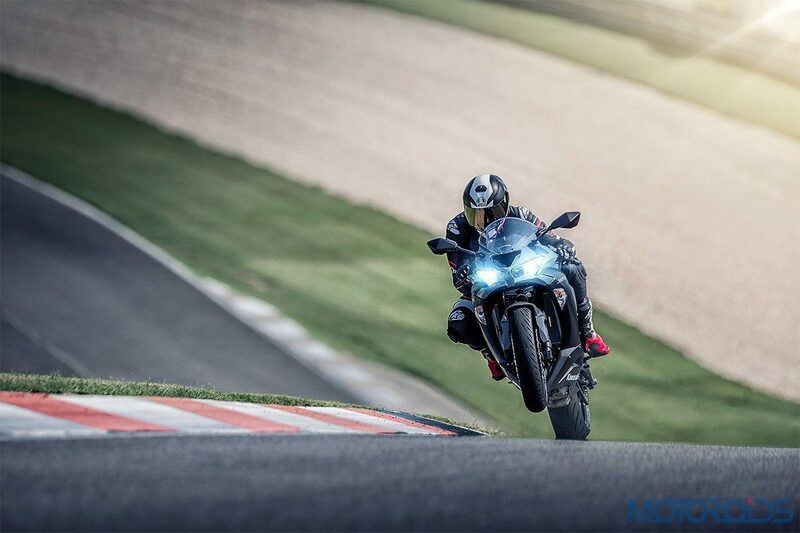 Capable of hitting a top speed of 248 kph, the Ninja is a potent track tool. Like its bigger sibling- the Kawasaki Ninja ZX-10R, the 6R will be sold in a single seater form only. We expect Kawasaki to keep the price under INR 10 lakh, which should keep things competitive.